It is not a Danish Christmas without risengrød. 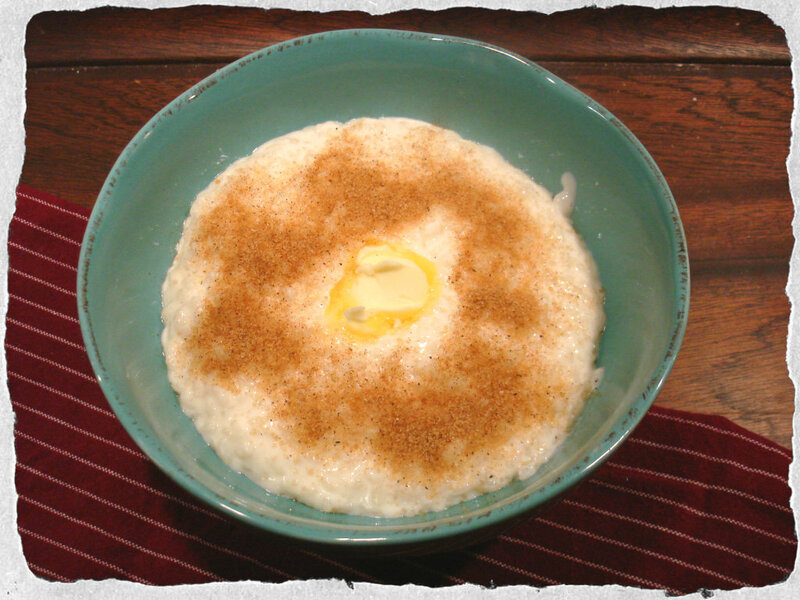 Risengrød is a rice porridge or pudding served with a dollop of butter in the middle and cinnamon sugar sprinkled on top. Some families, like mine, eat it on the 23rd of December others on the 24th. We make usually a huge portion, so that we have enough left over for another dish we eat as dessert on Christmas eve; Ris a la mande. 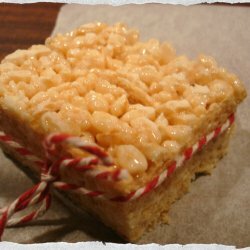 Another amazing dish that we absolutely have to have each year. 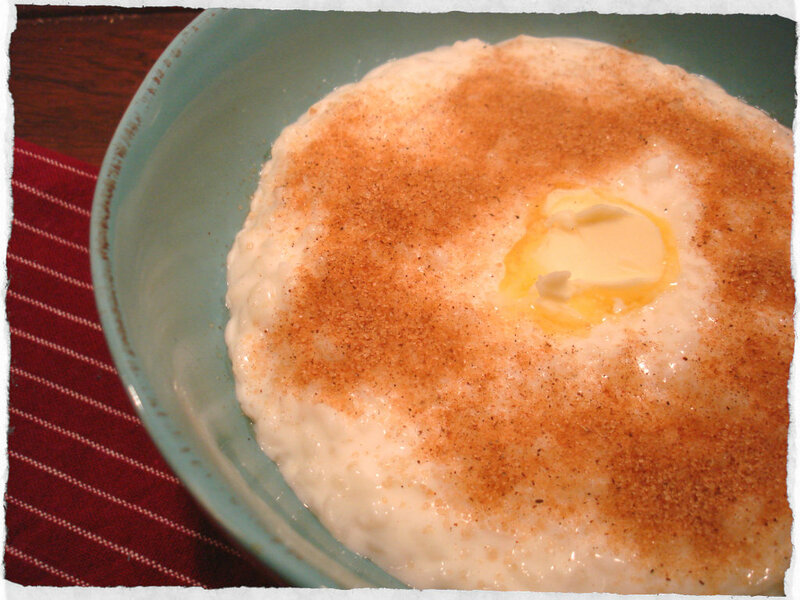 It is a wonderful mixture of rice porridge, whipping cream, almonds, and vanilla and topped off with warm cherry sauce. I will show that recipe another day. 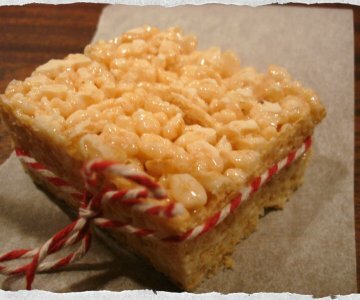 2 ¼ dl of short-grained, glutinous rice. In Denmark we have a type of rice simply called porridge rice. If you can get that kind, it will work best. In a heavy-bottomed saucepan, bring the water to a rapid boil over high heat. Pour in rice, stirring constantly to prevent sticking. After a couple of minutes, reduce heat to low, stirring rice until boiling is reduced to a simmer. Add milk to rice, stirring to incorporate. Bring mixture to a boil, stirring constantly, then immediately reduce heat to low. Be very careful here and keep your eye on it because the milk will boil over in a second if your not careful. Once boiling has reduced to a simmer, most recipes would say to cover the pan and leave for 35 minutes, still stirring often. But from my experience you’re better off just staying by the stove, stirring the porridge slowly until it is done. It can so easily burn and ruin the porridge if you leave it, and that is just such a shame. 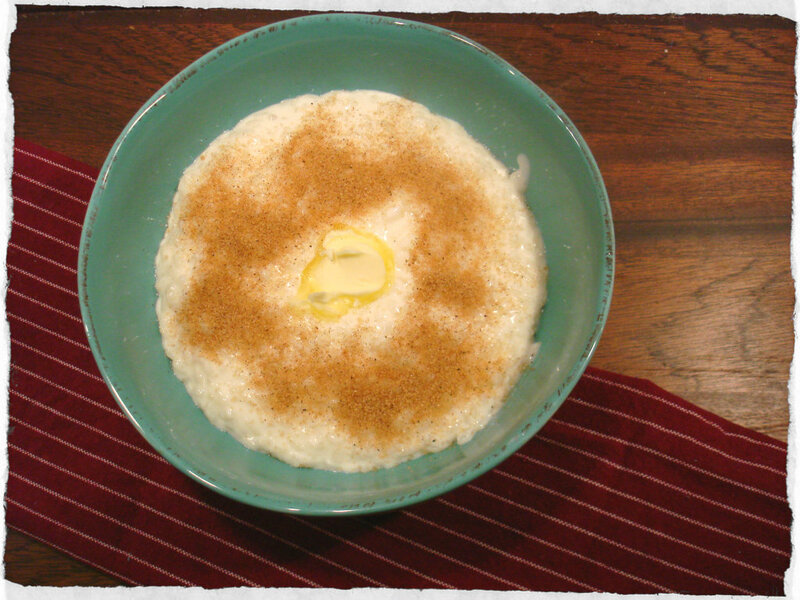 After about 20-25 minutes the porridge has gotten the right consistency, add a little bit of salt and then its ready to be served with a dollop of butter and cinnamon sugar on top.